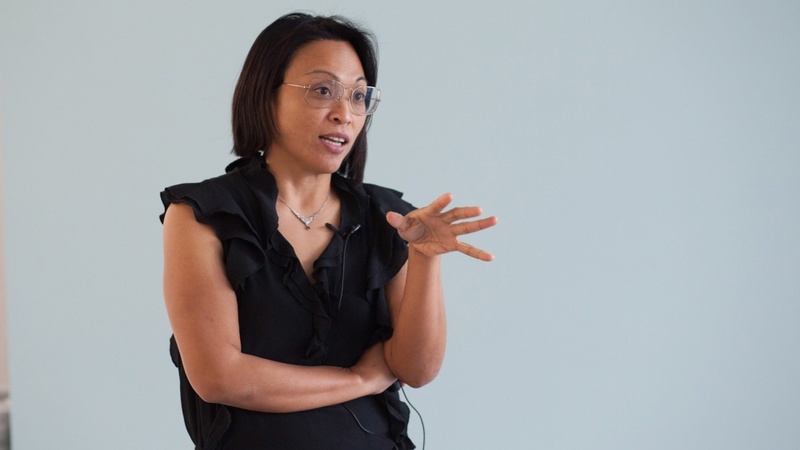 Rhacel Salazar Parreñas, a professor of sociology and gender studies at the University of Southern California, will discuss “The Gendered Organization of Migrant Domestic Work” in the Center for the Study of Women in Society’s 2018 Acker-Morgen Memorial Lecture. The talk takes place Wednesday, March 7, at 3:30 p.m. at the Gerlinger Hall Alumni Lounge. Parreñas’ areas of research include labor, migration, transnational feminism, economic sociology, gender and the family. The annual lecture series commemorates the legacies of Joan Acker and Sandra Morgen, both past directors of the Center for the Study of Women in Society at the UO. A path-breaking feminist researcher, Acker was a professor of sociology at the UO, where she taught for nearly three decades. In 1973, she helped establish what is now the Center for the Study of Women in Society, which she directed until 1986. Her books on gender and class include “Doing Comparable Worth: Gender, Class, and Pay Equity”; “Class Questions: Feminist Answers”; and “Stretched Thin: Poor Families, Welfare Work, and Welfare Reform” (co-authored with Sandra Morgen and Jill Weigt). Her many honors and awards included sociology’s top prize, the American Sociological Association Career of Distinguished Scholarship Award. A pioneer in feminist anthropology, Morgen began teaching at UO in 1991 as an associate professor of sociology, moving to the anthropology department in 2002. She served as director of the Center for the Study of Women in Society from 1991-2006 and later held leadership roles in the graduate school before returning to teach undergraduate- and graduate-level courses. In addition to coauthoring “Stretched Thin,” Morgen also published “Into Our Own Hands: The Women’s Health Movement in the U.S. 1969-1990,” winner of the Basker Prize from the Society for Medical Anthropology in 2004. She helped found the Society for North American Anthropology, which honored her in 2003 for outstanding contributions to anthropology in the U.S. The talk is sponsored by the Center for the Study of Women in Society and co-sponsored by the Wayne Morse Center for Law and Politics; Graduate School; Department of Anthropology; Department of Sociology; Department of Women’s, Gender and Sexuality Studies; Office of the President; and Office of the Provost and Academic Affairs.